Lovely pure white Mexican cotton dress, fits nicely from size S-L.
Adjustable, comfortable and totally flattering for almost all body types. Dress it up with great accesories and you are ready for that special date, or add a hoodie, a big tote and a braided headband, curl your hair and you will make your look more casual and ready for a weekend trip. This would be a great eco wedding dress, totally comfortable, I am sure you will love your wedding dress and will be able to use it day after day! We feature best quality cotton and materials to make this dress possible, unique and original handmade design. This is a full lenght maxi Mexican dress, made of thick cotton fabric known in Mexico as manta. A stunning dress has a lot of handmade stunning details, femenine and delicate details along the dress and within the pleated elastic along the dress to achive a exquisite and unique combination in a long flatterig and comfortable dress. It is perfect and flattering dress for all sizes and styles from small to plus sizes (XL). Dress this piece up or down, would be great with nice accesories as gold or Mexican silver. Get it now before someone else gets it! 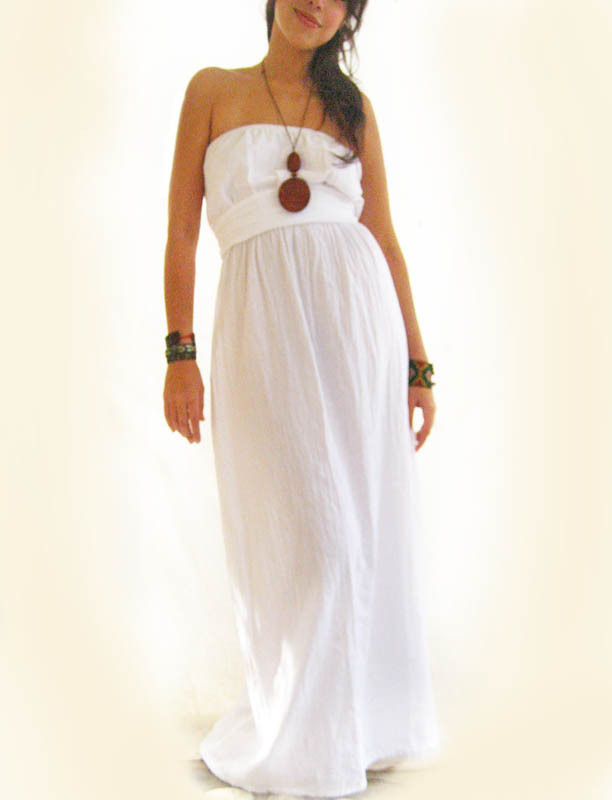 this will be your favorite wedding or special date eco natural dress all year long!